I have been a big fan of Tardigrades and the Radiotrophic fungi since the day I found out about them. I’m a fan mostly because these are the kind of creatures that can survive in very different (extreme) kind of settings. For instance, Tardigrades can waddle through the vacuüm of space without getting harmed! (more in the links above). The badass bacteria beats Tardigrades. A bacteria that goes by the name Deinococcus Radiodurans enters. It is the king of Extremophiles. Or, you can call it a Polyextremophile (reason below). 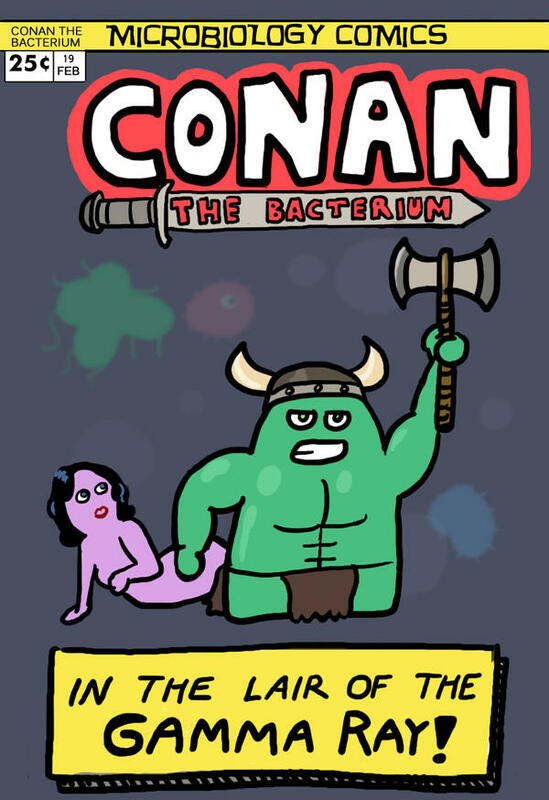 So, to my list of the most badass creatures, I’m happy to announce that I’m adding a new creature – Conan the Bacterium or Deinococcus Radiodurans (DR). This bacterium is so tough that it is listed in the Guinness Book of World Records as “the world’s toughest bacterium”. – it will survive. The most amazing part – it will survive all of it easily. To give you an idea how much 500,000 rads of radiation is, human beings would get cooked (or charred) to death within seconds if they get exposed to that amount of radiation! Yet Conan the bacterium takes it all as if it was nothing, and can still go up to 1,500,000 rads. At those levels, even the molecular structure of glass begins to break down! Habitat: No one knows where this bacterium belongs naturally. It is found anywhere and everywhere. You might find it in elephant’s dung or in the polar areas of the earth where the environment of earth closely resemble that of Mars. DNA repair with a twist: Like most other bacteria, DR can repair its own DNA after damage due to extreme amounts of radiation. But, even here, it manages to stand out from the masses (other bacteria). Other bacteria like E.Coli can’t survive, more than two or three major DNA breaks. However, DR can keep on bringing its broken DNA to the original state over and over. And every time, it can stitch back its completely blown DNA bits, in a matter of few hours. There is still a lot to learn about how it manages to do this. However, the mechanism it uses is certainly different and better from the way other bacteria do it. It doesn’t seem to have any DNA repair genes like other bacteria. And yet it is able to make complete repairs in the DNA with the help of a certain protein. Data storage: In the future, if we ever wish to make extremely robust storage devices, we could probably learn to store data in this bacteria’s DNA. And then we might never lose data even in the case of a nuclear apocalypse.